I wanted to use underwater photography to record my encounters, so I can share with others some of the mystery that this environment holds for me. It is an environment which is full of distractions so, to help me remain focused, I always work to a brief. The most important part of my trip is in the planning. I need to know exactly what I want to achieve, otherwise I get caught in the trap of taking random images and realising I have no film left when something exciting happens. Image 1. I always felt reassurance when I saw the boat at the end of the dive and I wanted to capture this moment. . I wanted to capture the beauty and mystery of the environment, and the reality. My aim was to capture the moment that fear dissolves into fascination and show the point where both diver and shark feel comfortable in each others presence. below the water. I am never sure what my shutter speed and aperture is in my selected images because I take so many shots of a similar composition, that I end up loosing track! 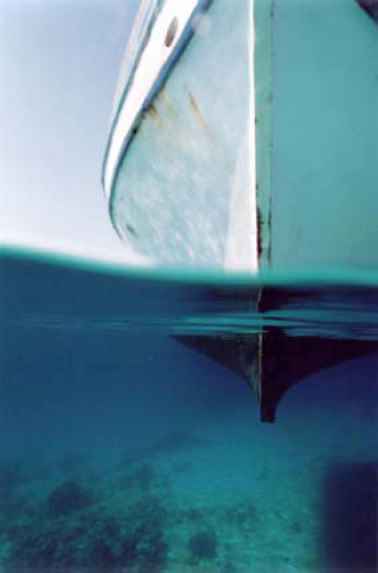 The first ever trip I made to the Red Sea with my camera was in October 2000. 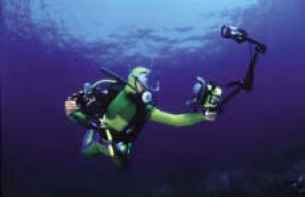 Being a relatively new diver I was still experiencing the anxiety and nerves, associated with my awareness of my restrictions in an alien environment. After several dives with my camera, I started to notice that one thing always remained the same - I always felt reassurance when I saw the boat at the end of the dive. I wanted to capture this moment. (image 1) I swam down the side of this boat about 10 times on this trip. With all the mass of information you experience on a dive, this was the one thing which always remained the same. I wanted to record it because it the only predictable experience I had. I took the shot both above and below the water line because I wanted to be reminded of where I had been and to see that I was going back to the boat. 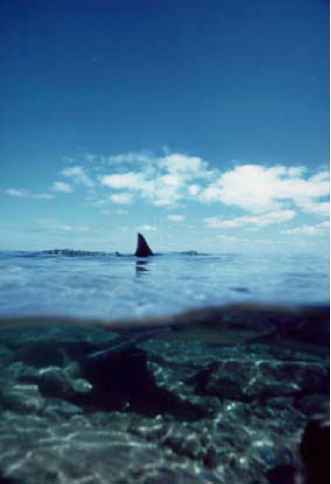 The fin is the only part of the image in focus, this is because the fin is a symbol of power and to see it would probably cause most swimmers to panic. the reality. I photographed the underwater world and the hotels which surround it. (image 2) Asking the question 'can somewhere so fragile support the amount of divers that visit it?'. only part of the image in focus, this is because the fin is a symbol of power and to see it would probably cause most swimmers to panic. You can see I am fascinated because you can see the shark the fin is attached to. 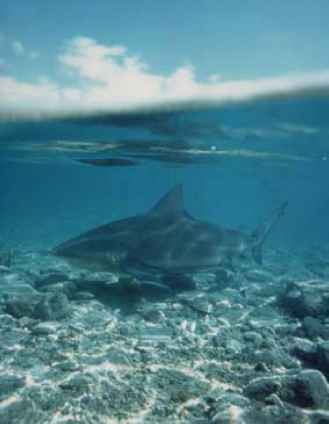 I am close to the shark in the shallows and yet the water is still. 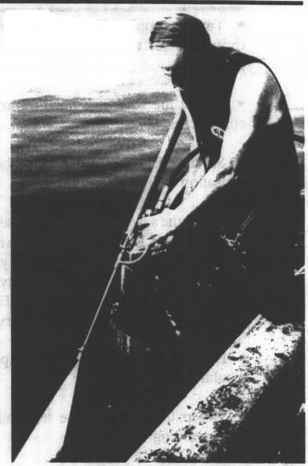 In the next photograph (image 5) you can see that other snorkellers are fascinated with the sharks. 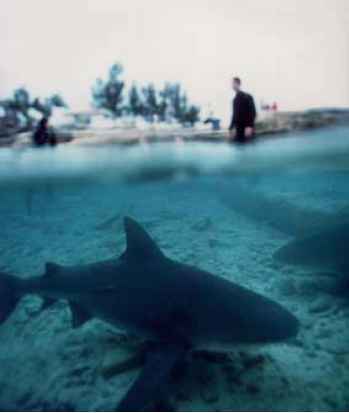 The fear associated with the shark is captured in their dominance in the photograph, and to have people standing in the water with the sharks swimming around their legs is to realise their fascination. My next trip is to the South Pacific. I am going to investigate the role of the shark in other cultures. I want to document its importance on the lives of the people they greatly effect, and hopefully dispel some of the myths that surround it. On this trip I plan to experiment with more styles of photography under the water. I have a great interest in art and photography and hope to explore many more of my ideas. 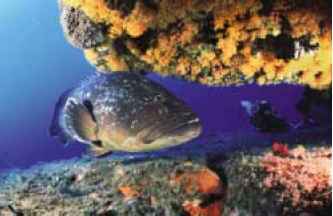 Kurt Amsler is one of the elite few to make a good living out of underwater photography. From natural history photo-essays to imaginative advertising shoots, Amsler's images influence photographers all over the world. This world class photographer and teacher is now set to share his successful techniques with clients of Ocean Optics. Kurt will host a one week workshop in Southern France from September 30th to 6th October. Places are strictly limited. For full details call Steve, Andrew or AJ. 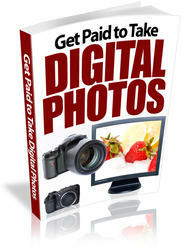 Definitive workshops from the definitive underwater photography company.